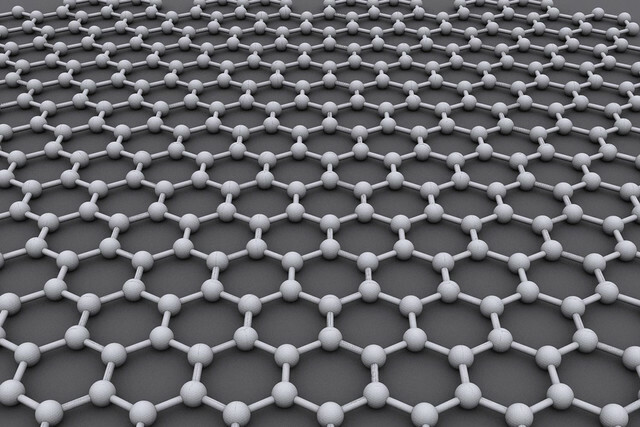 Graphene is going to change the future of electronic industry in a decade. Who and How Graphene was discovered? What makes Graphene a Super Material? Graphene is an allotrope of carbon. 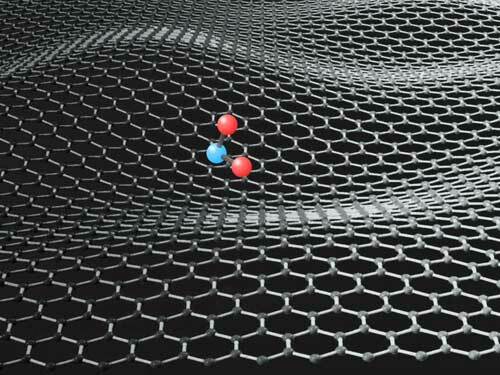 Scientists have theorized about graphene for years.. Although scientists knew one atom thick, two-dimensional crystal graphene existed, no-one had worked out how to extract it from graphite.That was until it was isolated in 2004 by two researchers at The University of Manchester, Prof Andre Geim and Prof Kostya Novoselov. . This work resulted in the two winning the Nobel Prize in Physics in 2010 "for groundbreaking experiments regarding the two-dimensional material graphene. 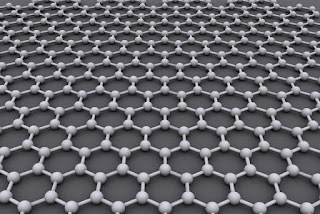 "Graphene is nothing but one atom thick carbon sheet with hexagonal lattice. Who discovered Graphene? ,How graphene was discovered? First crystals of graphene were discovered in 2004 using a simple and effective experiment,mainly ordinary scotch tape.During Friday evening experiments in Manchester scientists noticed small parts of graphene on the tape used to clean graphite stone.The to scientist Prof Andre Geim and Prof Kostya Novoselov were awarded with the Nobel prize for physics ,for simple but ground breaking experiment.This area of science grew extremely quickly and today hundreds of laboratories all over the world deal with different aspects of graphene research. Since is is obtained from graphite you may ask 'Then Is graphite and graphene the same? 'Graphene is simply one atomic layer of graphite.If so 'Can you see graphene?' ,answer is yes.It is basically transparent, absorbing just 2.3 percent of light that falls on it, but if you place it over blank sheet, you can see that it is there." That means you can see a single layer of atoms with your naked eye. What makes the graphene a super material? What makes graphene a super material is it's combination of unique properties.This is the first two dimensional material and thinnest material ever found.This gives graphene it's unique properties. How strong is graphene?This is the strongest material and harder than diamond and about 300 times stronger than steel. It conducts much better than copper. Graphene is a transparent material. It is bendable and can take any form. This unique super material gave birth to a new class of crystals that are also just one atom thin.And what more fantastic is that these can be shuffled with each other to engineer new on demand to meet special needs of different industries. Graphene is a disruptive technology.It could open up new markets and even replace existing technologies or materials.Since its isolation in 2004 it captured attention of scientists and researchers around the world.Following properties make Graphene suitable for various applications in the field of Energy, Membranes,Composites and Coatings, Biomedical, Sensors,Electronics. Graphene could dramatically increase the lifespan of a traditional lithium ion battery, meaning devices can be charged more quickly - and hold more power for longer. Imagine fully charging a smartphone in seconds, or an electric car in minutes. That's the power of graphene. Batteries could be so flexible and light that they can be stitched into clothing. Or into the body. For soldiers, who carry up to 16lbs of battery at one time, the impact of this could be huge. Carrying less weight, and using batteries that can be recharged by body heat or the sun would allow them to stay out in the field for longer. Graphene supercapacitors could provide massive amounts of power while using much less energy than conventional devices. Because they are light, they could also reduce the weight of cars or planes. Graphene is an ideal material for sensors. 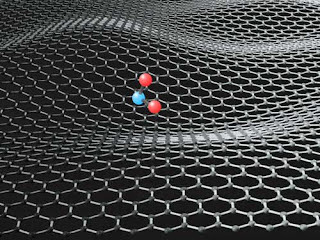 Every atom in graphene is exposed to its environment allowing it to sense changes in its surroundings. For chemical sensors the goal is to be able to detect just one molecule of a potentially dangerous substance. Graphene now allows for the creation of micrometre-size sensors capable of detecting individual events on a molecular level. Reducing food waste:Graphene oxide can be used to create 'smart' food packaging products. This could dramatically cut down on unnecessary food wastage and simultaneously help prevent illnesses. Packaging which has been coated with graphene has the ability to detect atmospheric changes caused by decaying food. Crop protection:Graphene sensors could boost the effectiveness of monitoring vital crops in the agriculture industry. Farmers would be able to monitor the existence of any harmful gasses which could impact upon crop fields and take relevant action. As graphene sensors are so sensitive it is feasible to be able to determine the ideal areas for growing certain crops depending on atmospheric conditions. Defence:The extreme sensitivity of graphene-based sensors could also be tuned to chemical warfare agents and explosives. This could allow for early warning detection systems for soldiers in the field potentially saving lives. Graphene has the potential to create the next-generation of electronics currently limited to sci-fi. Faster transistors; semiconductors; bendable phones and other electronics. Graphene can be used as a coating to improve current touch screens for phones and tablets. It can also be used to make the circuitry for our computers making them incredibly fast. These are just two examples of how graphene can enhance today's devices. Graphene can also spark the next-generation of electronics. Wearable technology:Graphene could see a smart phone which you could wear on your wrist or a tablet you could roll up like a newspaper. Flexible, wearable electronics take advantage of graphene's mechanical properties as well as its conductivity. Indium-tin oxide is currently used for touch screens as it conducts well but it is brittle. Graphene Transistors:Researchers at The University of Manchester have already created the world's smallest transistor using graphene. The smaller the size of the transistor, the better they perform within circuits. The fundamental challenge facing the electronics industry in the next 20 years is the further miniaturisation of technology. Graphene Semiconductors:Graphene's unique properties of thinness and conductivity have led to global research into its applications as a semiconductor. At just one atom thick and with the ability to conduct electricity at room temperature graphene semiconductors could replace existing technology for computer chips. Research has already shown that graphene chips are much faster than existing ones made from silicon. Graphene sheets as body armour: Is graphene bullet proof? Layers of carbon one-atom thick can absorb blows that would punch through steel. Recent tests suggest that pure graphene performs twice as well as the fabric currently used in bulletproof vests, making it an ideal armour for soldiers and police. Tissue engineering: Graphene can be used in tissue engineering. It can be used as a reinforcing agent to improve the mechanical properties of biodegradable polymeric nanocomposites for engineering bone tissue applications. Graphene in PCR(Polymerized Chain Reaction):PCR is the process of multiplying of DNA segments.Graphene is reported to have enhanced PCR by increasing the yield. Real potentials of Graphene is yet to be explored.Let us hope like any other invention , this one also solve some of our daily life problems.